Heat oven to 350°F. Line cookie sheet with foil. 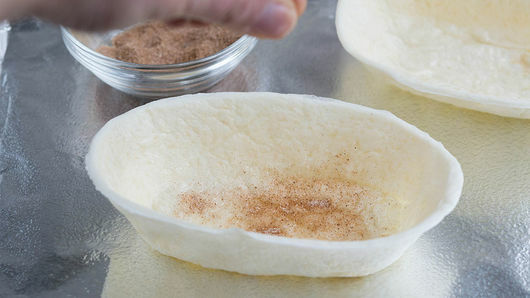 Place 4 Old El Paso™ Taco Boats™ Soft Flour Tortillas on cookie sheet. 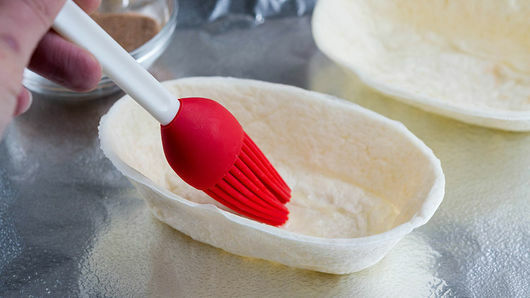 Brush insides of tortillas with 1 tablespoon melted butter. In small bowl, mix 2 teaspoons sugar and 1/2 teaspoon of the cinnamon. Sprinkle evenly into each tortilla. Bake about 7 minutes or until light golden brown. Remove from cookie sheet to cooling rack; cool completely, 5 to 10 minutes. Meanwhile, let 1 pint vanilla ice cream or frozen yogurt stand at room temperature about 5 minutes to soften. Stir remaining 1 teaspoon cinnamon into ice cream. Return to freezer until ready to serve. 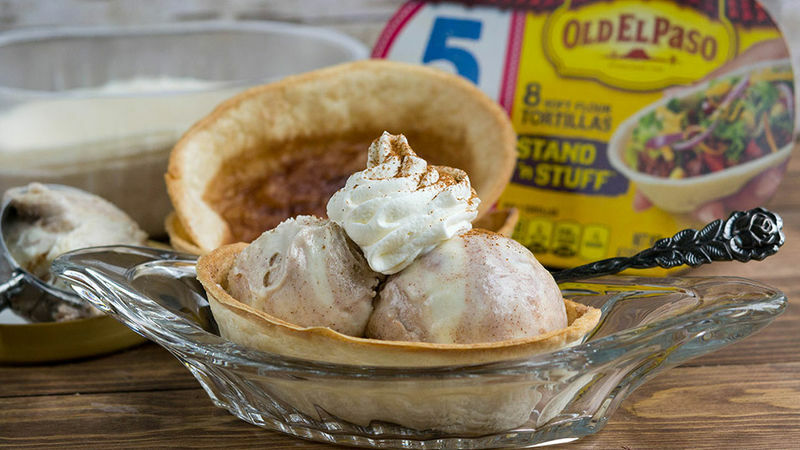 To assemble dessert tacos, place 2 small scoops ice cream in each tortilla. 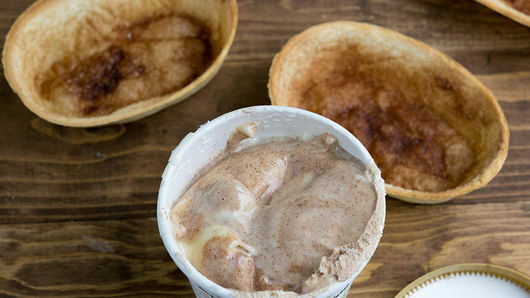 Top each with whipped cream and a sprinkle of cinnamon. Serve with chocolate or caramel sauce to make a sundae. For a more authentic flavor, add a honey drizzle before baking the tortillas.